Dubbed "The Industry Standard," this program will prepare you to enter the field of marine surveying as a confident professional. 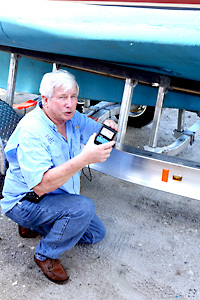 You will be able to prepare vessel appraisals for condition and value in the purchase or sale of vessels. You will also be able to assist insurance companies in obtaining an insurance value and a "to do" list to make the vessel insurable. A great prerequisite to insurance adjusting. 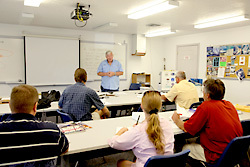 Use your VA educational benefits for our Professional Mariner Training or Survey Programs. 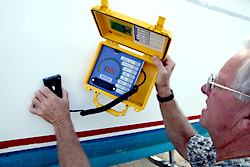 To prepare men and women for entry into the field of yacht and small craft surveying. To give them the needed technical knowledge and the highest sense of ethical, business and professional honesty. 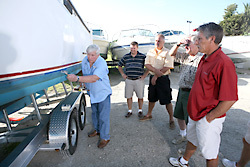 To provide others in the marine industry, such as insurance adjustors and underwriters as well as corporate, government and military personnel with in-depth knowledge of boat systems and values. A competent marine surveyor requires in-depth technical and market knowledge. Involved is the knowledge of hull design, construction methods & materials and what happens to them under various conditions of use and service. The same applies to vessel propulsion, navigation, communication, electrical and waste disposal systems. The course is designed to equip the student to recognize, evaluate and communicate findings in such a manner as to leave no doubt as to the condition of the vessel at the time of survey. 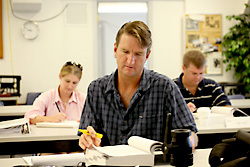 Instructional methods include classroom lecture and on board demonstration, guest lecturers noted for their expertise in the field, practice surveys, and report preparation. 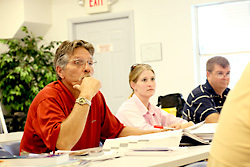 Our goal is to provide a balanced curriculum developing technical knowledge coupled with high business integrity. 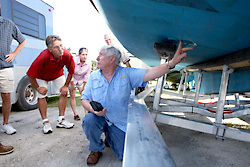 Hull Design, Construction and Materials - The hull is a boat’s essential element, and hull integrity is the result of proper design and construction. Students will study design and give consideration to fiberglass, wood, steel, aluminum, ferro cement and other boat building materials and methods. 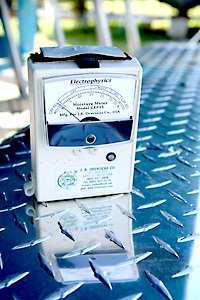 Special emphasis is given to the detection of deficiencies. Propulsion & Support Systems - An examination of sail and engine powered propulsion systems, including all components and test methods. Navigation, communication, fresh water, galley, heating, venting, air conditioning, waste disposal, running, rigging, electrical and fuel systems are also studied. Business, Professional & Legal Considerations - An exploration of marine surveying as a business and its professional, ethical and legal aspects. Surveys & Survey Reports - A professional surveyor follows a step-by-step procedure that begins with an assessment of the hull’s seaworthiness and a detailed inspection of the vessel’s systems. Each student will conduct three (3) complete surveys and prepare Reports of Survey. The school requires that all student survey reports be typed. In order to comply with this requirement students must supply a personal computer or typewriter. To qualify for admission, the student must be 18 years of age or older and in overall good health. The successful student must be able to use mathematical skills and the English language in order to fully benefit from the program. Foreign students should score at least 500 in the TOEFL exam or its equivalent. A high school graduation, state secondary equivalency diploma (GED) or evidence of student's ability to benefit from instruction is required. Please have a copy of your high school, college or previous training transcript sent to the Registrar. The review process takes into consideration the applicant’s prior education, experience and an expressed desire to learn. Previous training and education will be evaluated and appropriate credit given. With this in mind, it is desirable for the applicant to be a graduate of the Professional Mariner Training Program at the Chapman School or have survey related marine industry experience. The Enrollment Agreement must be completed and signed (by the parent or guardian if the applicant is younger than 18) and returned to the School along with the $150 registration fee. Class starting dates are listed in the program schedule. Students may enroll in this course through the second day of class. Students must have an official photo ID at the start of class. Please see listing of approved ID types. Average class size is 10 students, maximum class size is 15 students. 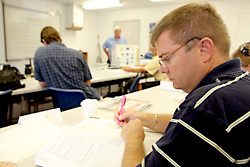 Early registration is encouraged for the January and March classes which generally fill early. The Enrollment Agreement must be completed and signed (by a parent or guardian if the applicant is younger than 18) and returned to the Chapman School along with the $150 non-refundable registration fee. The Chapman School accepts American Exress, Discover, Visa, or MasterCard. Veteran’s Refund Policy - The VRP is in accordance with the Federal Code of Regulations Chapter 38 Section 21.4254. The pro-ration will be determined on the ratio of the number of days or hours of instruction completed by the student to the total number of instructional days in the program. If cancellation is requested within three (3) business days after signing the Enrollment Agreement, all payments made by the applicant will be refunded in accordance with the Buyer's Right to Cancel. 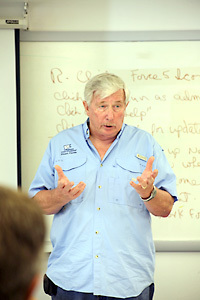 If cancellation is requested more than three (3) business days after signing the Enrollment Agreement, but before the beginning of classroom instruction, the applicant is obligated for the non-refundable registration fee, which may be applied to a future boating course within one year. If classes have already begun, and the student wishes to withdraw, the School must receive written notice. The refund will be based on the last actual date of class attendance. Students terminating training after the beginning of the course are obligated to pay on a prorated basis up to 40% of course completion. Thereafter, the student is obligated for the full amount of the contract price. Applicable refunds are made within thirty (30) days after the student fails to enter or terminates training. Campus housing consists of dormitory apartments. Each unit contains a bedroom, convertible living room/bedroom, bath, kitchenette and a covered porch. The number of students per unit during this program is a maximum of three. All units are air-conditioned, fully furnished and equipped with refrigerator, counter top range and cooking utensils. Housing is offered on a space available basis. The School is not responsible for the loss of any personal property. Sorry, no pets. Security deposit is due with the Enrollment Agreement and the housing fee is due 45 days prior to the start of class to reserve accommodations. If a student cannot attend the class in which he or she is registered, housing fees and deposits are refundable. Once a student moves into the facilities, no fees will be refunded except the $300 security deposit, and that within 30 days after the inspection of the vacated room. Veteran’s Education Benefits - If you are a U.S. military veteran, you may be eligible for education benefits. Rehabilitation Benefits - You may be eligible for education benefits due to job-related injuries that preclude continued employment in your present trade or profession. Retirement Benefits - You may be eligible for education benefits offered by some firms upon retirement. Retraining Opportunities - You may be able to secure retraining benefits if you are a dislocated worker or eligible for programs offered by other retraining agencies. Attendance Requirements - A student must attend at least 153 hours (85%) of the 180-hour program. An accumulation of 27 hours of absences from classes is considered excessive and may result in dismissal from School. Veteran’s benefits are interrupted at this point. 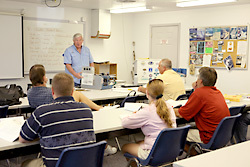 Class Schedule - Classes meet daily, Monday through Friday from 8:30am to 3:30pm. Lunch is from 12:30pm to 1:30pm. Tardiness - Lateness for any part of an hour will be counted as a full hour of absence. Leaves - A student who must take extensive leave beyond the allowed attendance policy limits due to special circumstances such as prolonged illness, family emergency, etc., will be permitted to re-enter at the phase of training that is identical to the one he or she left. Earlier phases of training may be repeated at no additional tuition cost as determined by the School. Veteran students must be terminated for pay purposes. Re-Admittance Policy - If a student has been terminated for attendance reasons and can give evidence that the cause for poor attendance has been eliminated, the student may be re-admitted on a probationary basis for a three week period. Six hours or one full class day of unexcused absence during this period will result in termination. Veterans benefits may be resumed during the probationary period. Students are required to observe proper standards of personal conduct. Justification for dismissal from the School would include any action that would be considered offensive by the faculty, the student body or the community at large. Student conduct is taken into consideration for employment recommendations. Proper dress, including shoes, shirt and pants or shorts must be worn in the classroom and Administration Building. Work clothes are recommended for shop and boat maintenance lab work. To safeguard against infection from minor scrapes or punctures, we suggest obtaining a current tetanus booster before arrival on the campus. The School requires that all student survey reports be typed. In order to comply with this requirement, students must supply a personal computer or typewriter, or be prepared to hire a local typing service. Tests & Examinations - Periodic tests will be given throughout the 6 weeks as a measure of each student’s progress. These will include practice surveys. A comprehensive final exam will be given at the end of the course. Student Progress - All student records will be kept on file for viewing by the student and authorized parties. Student progress will be carefully monitored on a regular basis. If a student’s average falls below 80, he or she will be considered on academic probation until the average is brought up to passing. If grades are not brought up to passing within two weeks, the student will be terminated for unsatisfactory progress. At this point, veterans benefits may be interrupted. Re-entry will be at the discretion of the School’s administration. Requirements for Graduation - The Chapman School awards a certificate. All attendance requirements must be met and any financial obligations to the School satisfied. A final average of 80% or better is required.